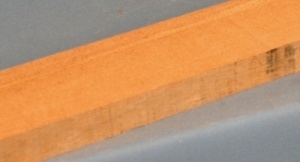 Honduras cedar guitar neck blank type A first choice. Honduras Cedar has a long history of use for classical guitar necks. It is light weight, stable, stiff and resonant and the mid brown colour seems to fit well with most back and sides sets combinations.